Lauren Haber is a Senior Consultant with LitCon Group, LLC. 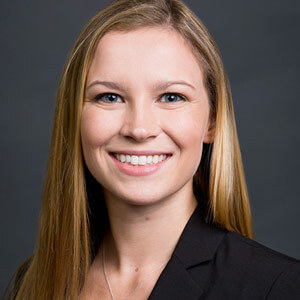 She joined LitCon after graduating from Lehigh University, where she was a member of the Integrated Business and Engineering Honors Program and concentrated in the field of Industrial and Systems Engineering. She specializes in financial analysis and damages analysis in matters involving commercial and government contracts. Prior to joining LitCon, Ms. Haber worked as a logistics analyst intern for a defense contractor. She conducted analyses using the company’s product and part data system. Based on contractual requirements and her analyses, she made necessary revisions to update the company’s databases and ensure complete data was captured. Ms. Haber also spent a semester analyzing marketing data for a theater festival. She created and tested predictive models to optimize the theater company’s advertising campaign.